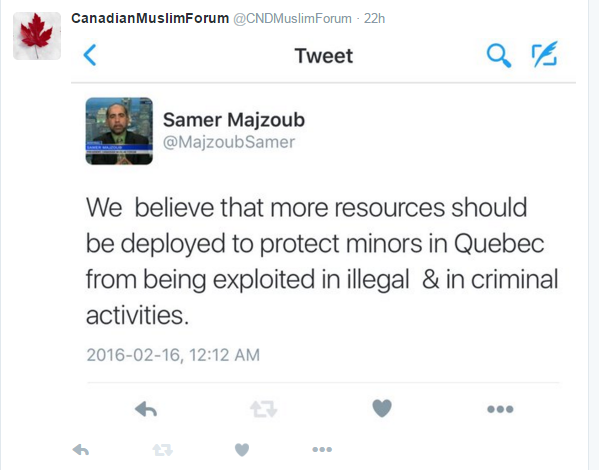 Tweet on minors’ protection in Quebec. We believe that more resources should be deployed to protect minors in Quebec from being exploited in illegal and in criminal activities. Tweeted, Samer Majzoub. 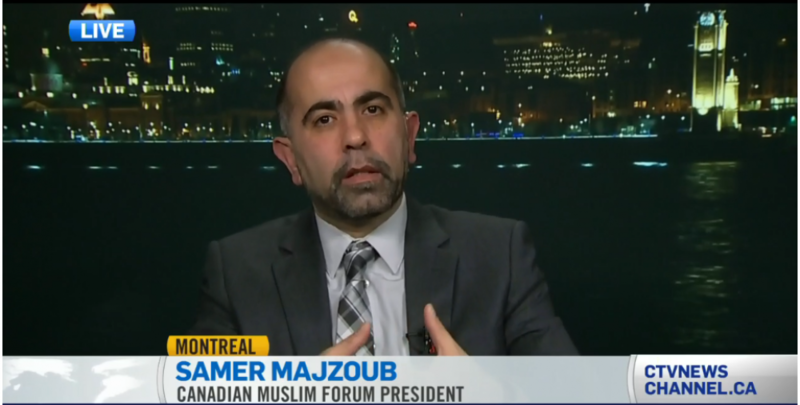 This entry was posted in Tweet and tagged (FMC-CMF), Canada Muslims, Canadian Muslim Forum, Forum Musulman Canadien, Islamphobia, minors in Quebec, Quebec Muslims, Samer Majzoub, Tweet, tweeter by samermajzoub. Bookmark the permalink.